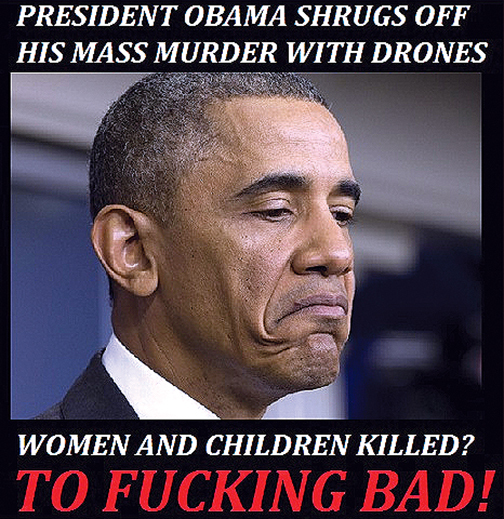 Thousands of extra-judiciary drone killings, all personally approved by Peace Nobel Laureate, Obama, and all with casualties and so-called ‘collateral damage’, costs the affected, mostly poor communities, tens of thousands of lives and destroyed properties and public infrastructure valued at millions of dollars; an assurance to keep them poor and submissive. Do not such horrendous criminal acts by the self-declared Western caliph Obama beg the question – who will eventually send a drone to neutralize the killer? – Or for that matter, anyone who dares following in the murderer’s footsteps, Democrat or Republican, two faces of the same coin? It could be a pretty long chain, because none of the potential successors have a mind of their own. All of them are spineless miserable puppets, bought by the a globalized Anglo-Zionist led Corporate Empire. But no matter how long the chain of official governmental murderers, stopping them has to begin at some point. Lest, it becomes like everything else, normal daily business. Imagine – We are living in a world where open killings, open assassinations by an Über-Mensch, the proclaimed and admitted leader of the Exceptional Country, the self-proclaimed Master of the Universe, becomes the order of the day. And nobody blinks an eye. We, The People, are silent, when news reports of drone killings are flung around the world. No proof of guilt, no accusation, no trial, no conviction – nothing. It’s the new normal. Worse even – the puppets of the assassin-in-Chief, NATO and those who lead NATO, are doing the same by impunity. No morals left. The financial army – the Wall street tanks of money are killing entire countries. Nobody blinks. Elite imposed violence just grows exponentially. And so does fear. The more fear, the more police and military violence is justified – and even asked for by the people, whose minds have been utterly manipulated with false flag attacks, blaming of course always – the Islamists – who else? Greece is being fed to the dogs; the country that once upon a time gave the world the intellectual capital of philosophy that many of us are still thriving off, and the political principle of Democracy, the original concept of equal rights among people – a term widely abused today by the western world. Greek strangulation is drone killing by debt. Nobody blinks an eye. It has become the new normal. Tomorrow it may be Spain, or Portugal, or even France. Nobody blinks an eye. In fear and in lockstep behind the sledgehammer-wielding Monster. That makes you safe. Back to Obama’s drones. The latest such killing has targeted and apparently killed Afghan Taliban leader Mullah Akhtar Mansoor, by an Obama-approved drone in Pakistan. Obama has already confirmed it in a Press Conference in Hanoi, Vietnam, saying that Akhtar Mansoor’s death will bring Afghanistan closer to peace. – Can you imagine, killing a leader of a large portion of a country’s population is bringing peace? What an outright falsehood. Is there anybody who believes such crap? On the same occasion of the Assassin-in-Chief’s visit to Vietnam (officially the Socialist Republic of Vietnam), he proudly declared that the US will now graciously lift the weapons embargo to Vietnam. In other words, Vietnam, the arch-enemy of only four decades ago has now become a friend and partner – possibly a partner in crime, with occult and vicious purpose behind it, as is always the case, when an initiative comes from Washington. In this case, it’s clearly part of encircling China with whom Vietnam gradually normalizes relations. In Washington’s wicket mind there are plans for military bases in what used to be North Vietnam as part of dominating the South China Sea. Washington will not be stingy when it comes to offering ‘incentives’ to the Vietnamese in order to achieve their military objective in the region. China is certainly aware of this. The question begs any healthy mind, how can Vietnam, the Socialist Republic of Vietnam, acquiesce to deal with Washington on Washington’s terms and initiatives, after the US has devastated friendly Vietnam that was never a threat to anyone and least to the Unites States, killing about 3.1million Vietnamese (1955-1975 – British Medical Journal), of which up to 50% civilians and another 350,000 in Laos and Cambodia? How many people are going to swallow such preparation for conflict and war in Vietnam may have, without blinking an eye? Without even thinking? On the extra-judiciary murder by Obama of the Afghan Taliban leader Mullah Akhtar Mansoor, the public at large seems to cheer and congratulate Obama. To such an extent that random killing, ‘because we can’, has become a normality. What a testimony to human degradation. – Unthinkable only 30 years ago. This assassination may have devastating consequences against peace in the region. Not only is such an act totally unethical under human standards and a criminal act under any international law, it may most likely prompt a succession of leaders who will seek revenge and simply not accept interference in their country’s affairs; leaders who may want to take back by whatever means – and rightly so, their country’s sovereignty, viciously and violently stolen by outside forces – the US and a group of ally-stooges to satisfy an insatiable greed for resources and world hegemony. Well, such leaders would merely be another justification for eternal war. That’s precisely what Washington wants. Not peace. Never peace. Who is next? 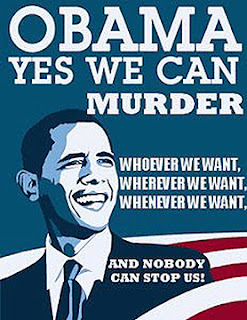 If drone killings have been tacitly accepted, if they become the new normal, there is no limit to murder by government impunity – license given by us, the Silent, We The People. – For how much longer do we want to remain silent onlookers of human atrocities? 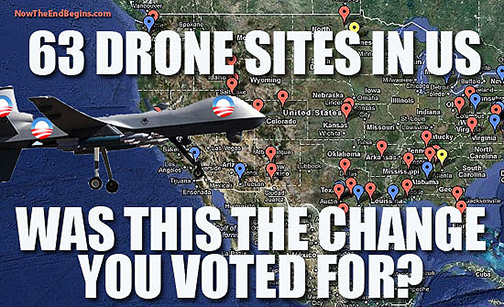 Drone killings are anonymous. It’s almost impossible to find out who pulled the trigger on the PlayStation – a pure computer game is what remote killings have become. Opening your mouth may cost your life. Is this the way we want to live? – Is this what we want for our children and grand-children, for the future generations – subjugation to slavehood – or else, killing by Anonymous?